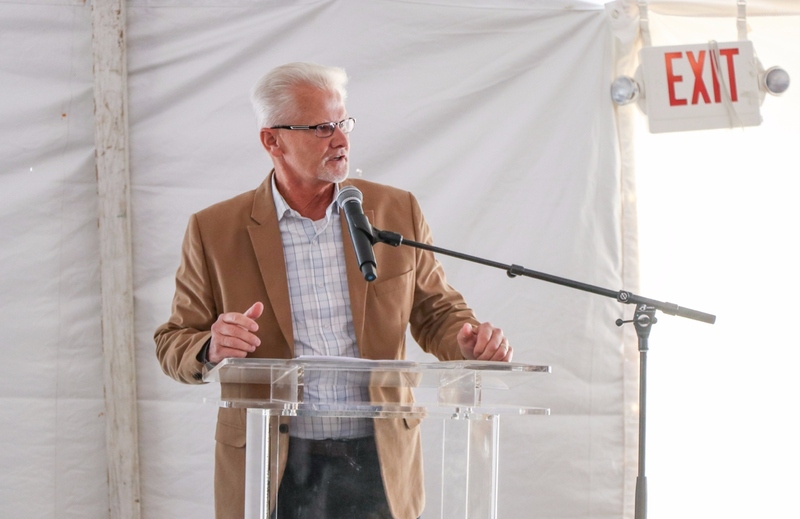 Global Kingdom Ministries hosted a special groundbreaking ceremony last week at Trinity Ravine Towers in Scarborough. The event marked a major milestone for the community, which has already sold out of its first phase and is now accepting registrations for phase two. Over 300 guests were in attendance including Glenn DeBaeremaker, Councillor, Scarborough Centre-Ward 38, Pastor Bob Johnston, Lead Pastor at Global Kingdom Ministries, Pastor Kern Kalideen, CEO at Global Kingdom Ministries and Trinity Ravine Towers, and representatives from the offices of John McKay, MP, Scarborough-Guildwood and Mitzie Hunter, MPP, Minister of Education, Scarborough-Guildwood. 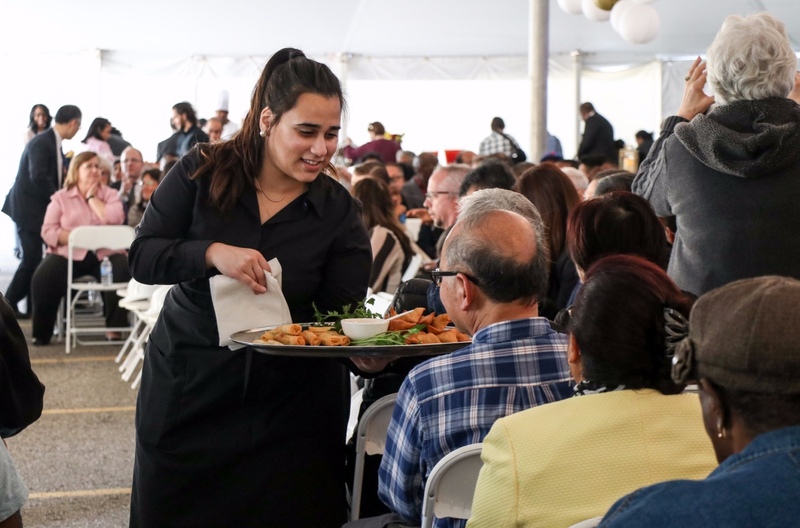 Located at 1250 Markham Road, just a few minutes south of Highway 401, the development is one of the city’s first faith-based, 55-plus adult lifestyle communities geared to evolve with the needs of its residents. It offers an innovative Life Lease option which allows homebuyers to purchase an interest in the property at market value and have exclusive use of their suite, common areas, facilities and amenities.The benefit of this model is that the development can be controlled by a non-profit or charitable organization such as Global Kingdom Ministries, to ensure an age-exclusive mature adult community. In addition, all maintenance, repair and upkeep are covered by a monthly occupancy fee, similar to condo fees. 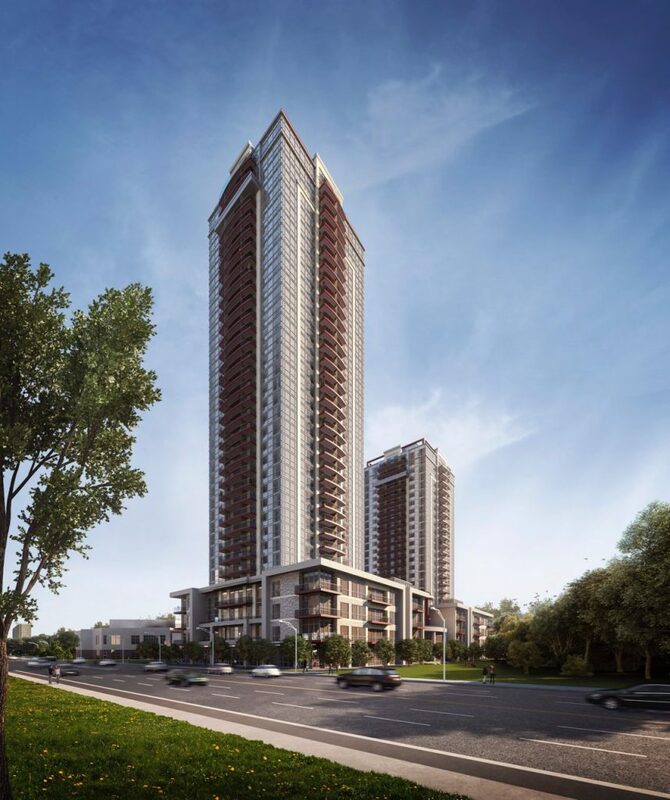 With Trinity Ravine Towers, local residents can “age in place,” staying in the same neighbourhood where they’ve built deep roots and live a maintenance free lifestyle without having to change doctors, dentists or even grocery stores. 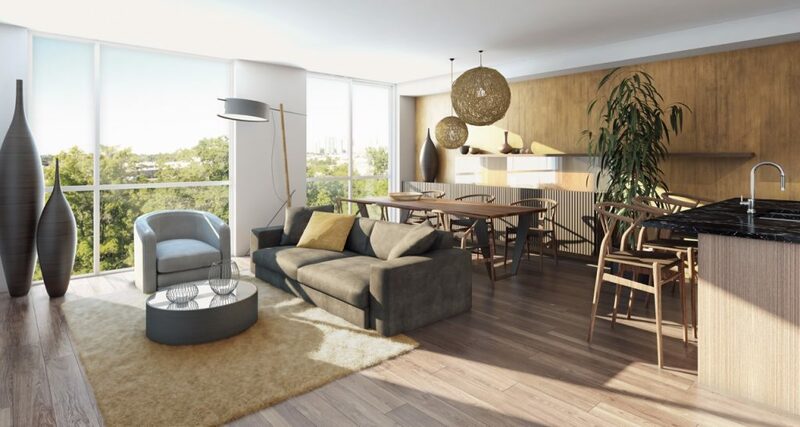 In addition to typical condominium-style amenities like a fitness centre, concierge and games room, the project will also have an on-site Wellness Centre staffed with nurses, doctors and physiotherapists. 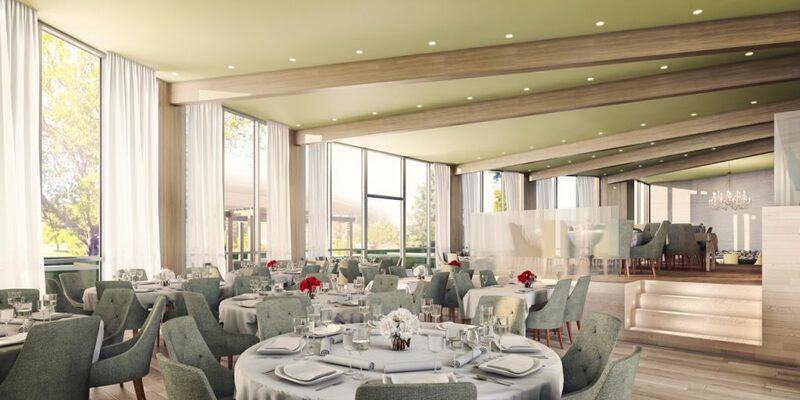 Residents may also purchase service packages and à la carte services according to their current needs, including housekeeping and laundry services. Designed by Reinders + Rieder Ltd, Trinity Ravine Towers consists of two contemporary towers clad in a mix of light natural stone, precast concrete and expansive spans of glass. At the base of the towers is a shared four-storey podium which houses the development’s many on-site amenities. Prices in phase two start from $272,900 for suites ranging in size from 527 square feet to 1,189 square feet. Interiors boast thoughtfully-designed layouts with full or Juliet balconies and finishes chosen by renowned interior designer Johnson Chou. The impressive list of standard features includes nine to 10-foot ceilings, extra wide door frames and wood-laminate floors. The bathrooms feature low maintenance porcelain tiles while the kitchens come equipped with elegant quartz countertops, tile backsplashes and custom cabinets. A full appliance package with a built-in dishwasher, 18-cubic foot refrigerator, self-clean electric range and an integrated microwave range hood is also standard. 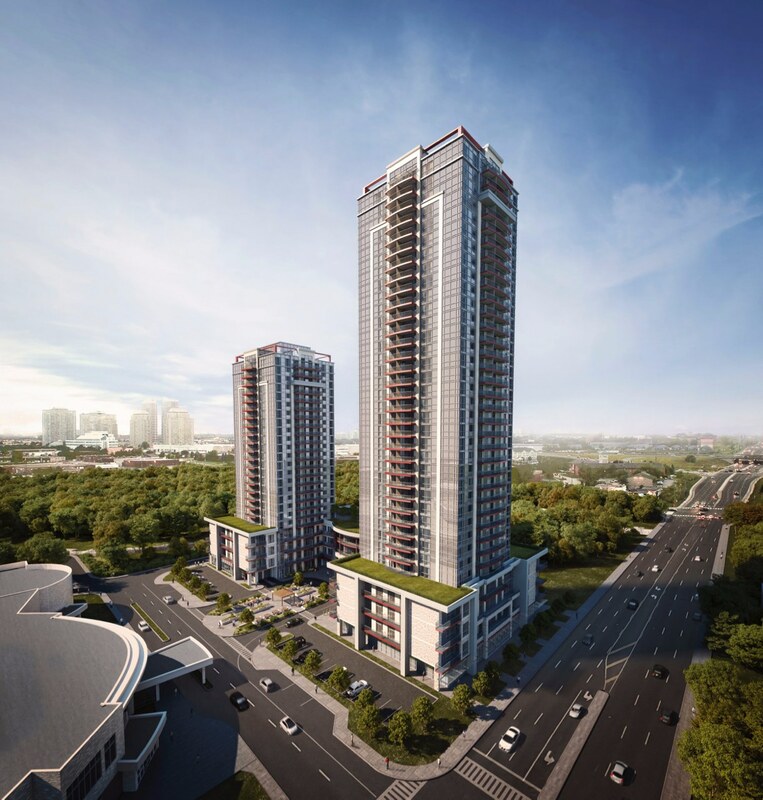 To learn more about Trinity Ravine Towers, be sure to register online or call 647 876 5433 to book an appointment at the presentation centre. For more information, visit trinityravine.ca or call 647 876 5433.